Chemical Peels Toronto- Which Type is Right for Me? With so many options out there for chemical peels, how do you know which is right for you. Everyone’s skin is different and must be treated accordingly. These peels can be wonderful before a big night out or special event as they leave your skin glowing, and “Red Carpet Ready. Gentle chemical peels can be repeated as close as 2 weeks apart with the average being every 4 weeks to keep your skin revitalized and looking its best. 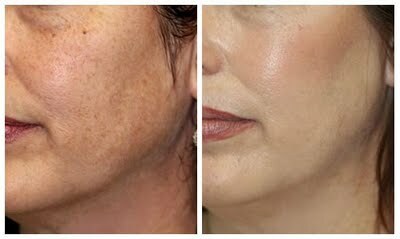 Some may require a deeper more aggressive peel to deal with old acne scarring and hyperpigmentation. In this case we might suggest The Perfect Peel. The Perfect Peel is a stronger combination acid peel that also contains Glutathione a very powerful anti-oxidant. The Perfect Peel would give your skin significant shedding for about 4 days. This deeper exfoliation leaves your skin much brighter in color and with lessened hyperpigmentation and scarring depth. The wonderful thing about the Perfect Peel is that your skin continues to improve over the next few weeks. 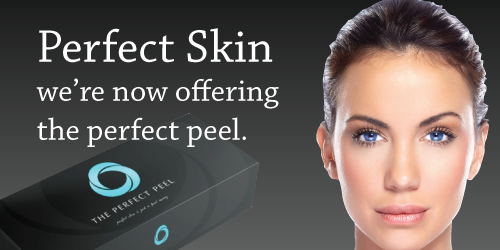 The Perfect Peel can be repeated at 3-4 week intervals to achieve maximum benefits for your skin. Lasting Looks Clinic in Toronto has the right professional chemical peel for you! Intense Pulsed Light treatments are a non-invasive, and a non-abrasive option for anyone who wishes to improve acne scars as well as sun damage and broken capillaries. No anesthesia is required beyond a mild cooling gel. The side effects from Photo Facials are rare, although there is some redness in the treated area that returns to normal. IPL is not recommended for darker skinned people as they may experience hyperpigmentation as well as acne patients who are on the medication Accutane. For those who wish to improve the texture as well as the pigmentation , IPL can be combined with a more intensive peels such as a glycolic acid peels or vitamin A peels such as the Perfect Peel. Whether you suffer from active inflammatory acne, scars, and sun damage, PL treatment is a safe, non-surgical method for significantly improving the condition of your skin. Lasting Looks Clinic in Toronto customizes our treatment plans for our patients and their individual needs. Not every patient has the same skin concerns or lifestyle. Generally there is no one size fits all treatment plan for achieving great skin. What works for one person probably won’t work for another. We take many variables into consideration. These can include your job, home life and social style. For example a person with scarring and pigmentation who works with the public 5 days a week really can’t go to work and face the public with skin on their face that is visibly peeling. Their treatment plan would be very different from one we would have for someone who works in a home office and has no face-to-face contact other than with family. Lasting Looks Clinic in Toronto will customize a plan especially for you. This can include IPL treatments or Photo Facials and various strengths of chemical peels with specific home care products. Both treatments will address the problem at different levels of the skin and when combined we will achieve the best possible results. You have to admit i, at some point in our lives we have all done the same thing – we have laid out too long in the sun without the proper protection. Whether on a beach vacation in the Caribbean or at the cottage we have all damaged our skin with the sun. Many years later we see the results of the sun damage that we did by way of dark pigmented areas, freckles, broken blood vessels and fine (or not so fine) lines on our face hands and chest. What can be done to treat this damage? Lasting Looks Clinic in Toronto we will customize a treatment plan for you that may include IPL to help reduce and remove the sun damaged skin. IPL is Intense Pulse Light treatment, also known as Photo Rejuvenation. Lasting Looks Clinic in Etobicoke uses only Medical grade professional equipment for our IPL treatments. Your treatment is provided by a Medical Aesthetician, who is fully certified in the use operation of this equipment. IPL specifically targets anything that is not of “normal” skin color. During your treatment you may feel a warm snapping sensation, this is the light treatment going through the top layers of the skin and focusing all of its energy on the discoloration or broken blood vessel. Within a few days these dark freckles will turn darker and then get crusty and fall off. IPL treatments also help to regenerate collagen in the skin, which will lessen fine lines and reduce pore size. Generally a series of 3-6 treatments is necessary to achieve your best results. Microdermabrasion Toronto- Is it the Right Treatment For You? Lasting Looks Clinic in Toronto uses only medical grade equipment so our Microdermabrasion treatments are quite different from those found in a salon/spa. Our Microdermabrasion equipment has numerous settings for treating scars and stretch marks. We tailor our treatments from the most aggressive to the mildest settings for the most sensitive skins. The goal that we strive for in our Microdermabrasion treatments is to have your skin be more refined, clearer, brighter and for lessening of scars with little to no downtime. You can resume regular activity immediately following your treatments. At Lasting Looks Clinic in Toronto Microdermabrasion treatments in combination with the proper home care products or other treatments can help you to have the beautiful skin you’ve longed for. 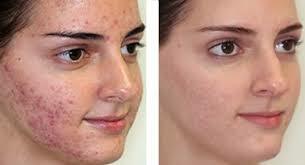 If you are suffering from acne then a clinical peel or chemical peel is probably your best treatment option. People of all ages, ethnicities and skin types can benefit from a customized peel from Lasting Looks Clinic in Toronto. Chemical peels vary in strength and type depending on the type of acne and type of skin. We take into consideration such things as lifestyle, work as well as the amount of social downtime that you have available when we are determining the type of peel we will perform on your acne. An acne peel as well as selective home care products is part of your individualized treatment plan from Lasting Looks Clinic in Toronto. The peel we choose to treat your acne can significantly improve your skin after the very first treatment. Generally we can perform peels on your acne skin anywhere from 10 days to 3 weeks apart depending on the type and strength of peel being used. The amount of peeling also varies by the type of peel chosen. This can be anywhere from very little to significant peeling. Acne Peels can help to re-texture the skin leaving it much smoother and more even in color and most importantly it will lessen your breakouts. Jessner’s Peels are very different from regular chemical peels such as Glycolic Acid Peels. A Jessner’s Peel is generally made up of a combination of different types of AHA and BHA acids. By now you have heard about AHA’s and BHA’s as they are found in a number of products that are available to consumers in skin care. It seems that almost every cosmetic anti aging product has very tiny amounts of one of these types of acids in it. A Jessners’ Peel from Lasting Looks in Toronto will be customized for your individual needs and to address the skin issue that is most important to you. Your Jessners’ peel will help with fine lines, sun damage, dull rough texture and scarring. As the peel is customized to your needs you may have from little or no social downtime to a few days of moderate to strong peeling of the skin. For more than 15 years Lasting Looks Clinic in Toronto has provided Jessners Peels to its patients. Jessner Peels are Chemical Peels that use a combination of different acids to improve skin tone, texture, mild acne, dullness, mild to moderate scarring and pigmentation. In a Jessner Chemical Peel the combination of acids that is used is usually Salicylic, Lactic, Citric, Malic and Glycolic Peels in different strengths as well as other chemical peel ingredients making it a stand out in its effectiveness. 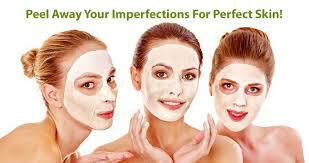 We provide Jessners Chemical Peels in various strengths for different skin problems. We can treat you with peels from the mildest strengths with little to no social downtime to stronger peels that require one week of downtime depending on the issue with your skin. Lasting Looks Clinic to learn more. Your skin is the largest organ in your body, so it takes a lot of abuse. You put your skin at risk when you leave it unprotected outdoors or in settings that are environmentally risky. Here’s what not to do if you want to preserve your skin. Your sunscreen probably isn’t shielding you from sun damage because most of us don’t apply the recommended sunblock with ZINC. If you’re going to be outside, always wear protective clothing and a wide-brimmed hat, seek the shade, & wear sunblock. 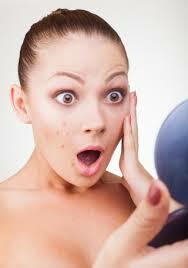 Or else you can cause just a few of the common noticeable signs of aging Wrinkles, and Brown Spots (pigmentation). Lather up and protect your skin! Smoking also yellows the skin, interferes with its blood supply, and slows wound healing. 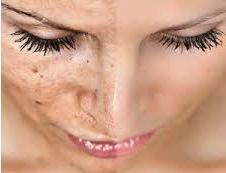 So we suggest doing a microdermabrasion or chemical peels to exfoliate those dead skin cells and rejuvenate your skin. Washing your face is a good idea. Scrubbing it isn’t. Scrubbing can be very irritating to the skin, A lot of times, people who have acne will feel like they have to scrub the skin to make it better, but that can actually worsen the acne. Use peels to exfoliate your skin. It’s not your imagination. Stress really does show in your skin. It’s not well understood, but it’s clear that stress makes many skin conditions worse. It can cause wrinkles. Sometimes too deep that botox isn’t the answer you may need Juvederm Filler. Stress can cause flare-ups of psoriasis and rosacea as well as acne. 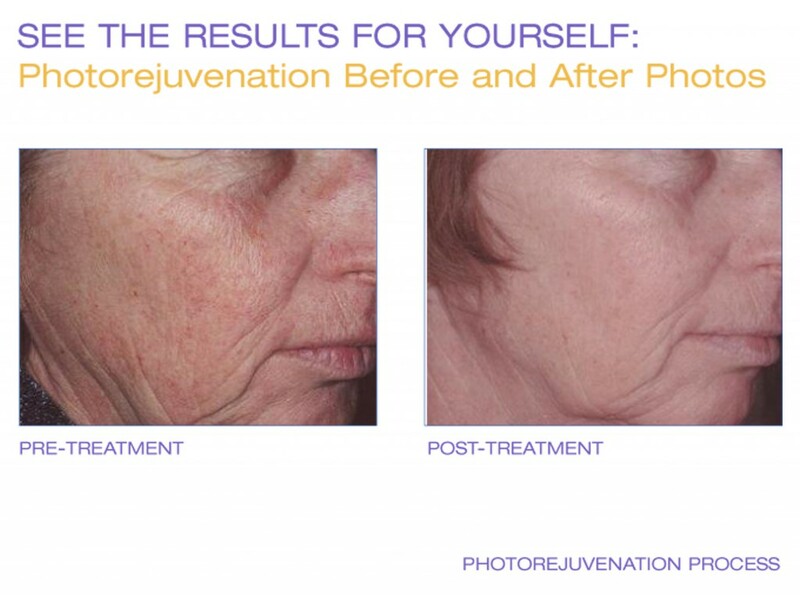 Photo Facial (IPL) is recommended to treat these conditions. When you gain a lot of weight, your skin has to stretch to accommodate your new girth. Lose the weight and you’ll be left with flabby, saggy skin. Ultherapy is a non-surgical facelift that uses ultrasound technology to tighten and tone the face, neck, and décolleté. The Salicylic Acid peel that is performed at Lasting Looks Clinic in Toronto is excellent for acne prone skin. The application of the chemical peel is quick and painless . 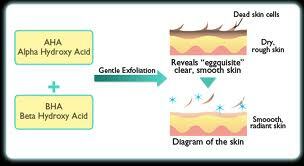 The Salicylic Acid peel is beneficial for active acne as well as old acne and acne scarring. Salicylic Acid peels at Lasting Looks Clinic in Toronto are highly effective and will show you great improvement in the skin whether it is occasional acne or persistent acne that you are dealing with. After your Salicylic Acid Peel the treated skin will have some pinkness and mild to moderate peeling which can persist from 1-3 days. The Salicylic Acid peel can be repeated every 10-14 days until the desired results are achieved.